Given the average 2018 student debt load of about $190,000, every single scholarship dollar makes a difference to a student who will soon be one of our professional colleagues. It’s a moral imperative. An economic emergency. A life or death issue. The educational loan monster. The veterinary profession’s debt debacle. The challenge that our profession is facing has been described over the past two decades in dozens of ways. “Managing Your Economic Future in Veterinary Medicine” was the title of an American Veterinary Medical Association symposium held in April 1996, just before I began my term as AVMA president. Several of the resulting themes were the need to reduce the cost of veterinary education, help students and recent graduates better manage their debt loads, and prepare graduates to more quickly become economic assets to their practices. The average student debt of veterinary college graduates in 1983 was approximately $19,000, and in 1995 it was about $45,000. Another initiative began in January 2008: a series of five annual symposia (“Conversations for Committed Action”) hosted at the North American Veterinary Conference and put together by Drs. Jim Wilson, Dennis McCurnin, Paul Pion and other DVM members of VetPartners. The intent was to keep the important topic of student debt in front of the profession. By 2007, student debt had increased to approximately $107,000. From 2009 to 2011, I served as project manager for the North American Veterinary Medical Education Consortium (NAVMEC). Convened by the Association of American Veterinary Medical Colleges, the consortium brought together more than 400 stakeholders in veterinary education for three meetings over a year’s time. One of the most important strategic goals that emerged from NAVMEC was “to promote an economically viable education system for both colleges of veterinary medicine and veterinary students.” The average student debt had increased to approximately $130,000 by 2009. The conversation has since continued and been repeated again and again, yet the student debt load has deepened further and identified solutions have not been initiated. So, we’re going to try again. At the “Fix the Debt” summit hosted by Michigan State University in April 2016, when average student debt was approximately $145,000, the 180 participants were divided into groups: veterinary students and recent graduates, educators and veterinary college representatives, employers of veterinarians across the breadth of the profession, and government agencies and veterinary associations. Support local and national efforts to increase student scholarships. Integrate professional skills and competencies throughout the curriculum. Reduce the total time of the undergraduate and graduate educational programs to five or six years. Increase advocacy to governmental agencies that control student loans and payback opportunities. Boost student awareness of non-practice professional opportunities. Help practitioner employers increase workplace onboarding. Promote entrepreneurship, including practice ownership options. Emphasize preventive medicine to students interested in clinical practice. So, where are we now? It’s obvious that the six items highlighted in red “live” with educators and the veterinary colleges. 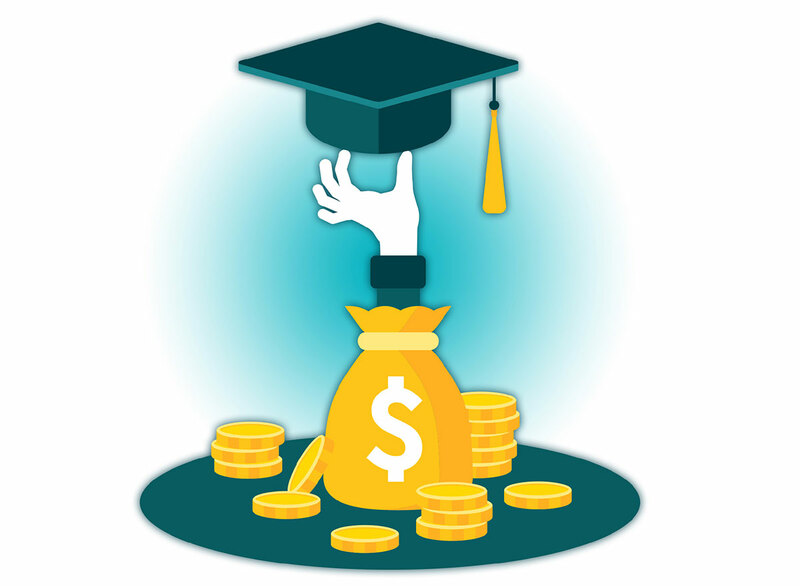 At this time, there have been few reports from CVMs individually or collectively that demonstrate actions have being taken, especially in regard to managing tuition costs. The other four big-picture items need attention from all of us: national associations, veterinary organizations, private and public practice employers, and graduates. We need to push the envelope, but what can you and I do while we await changes in education, curriculum, government policies and college programs? Each one of us, regardless of where we are in our professional life, can make a difference today by helping fund scholarships at our alma maters and regional CVMs. According to the winter 2018 report from the Michigan State University development office, every $1 in scholarship money that a college of veterinary medicine provides to a CVM student will replace $2.30 of that student’s loan repayment. Given the average 2018 student debt load of about $190,000, every single scholarship dollar makes a difference to a student who will soon be one of our professional colleagues. Join me in making a difference today. During her 1996-1997 term as AVMA president, Dr. Mary Beth Leininger made resolving student debt issues one of her six primary focuses. This commentary is the first in a series she plans to write about the topic. Dr. Leininger co-owned a Michigan veterinary practice for 28 years and later served on the AVMA Council on Education and worked in industry. 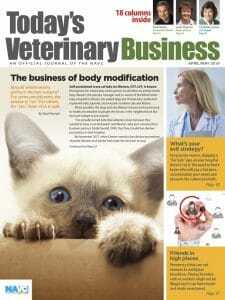 She is a member of the Today’s Veterinary Business editorial advisory board.